Professor Justin Vaughn focuses his research and teaching on American political institutions, especially the presidency. He currently serves as a board member for the American Political Science Association’s Presidents & Executive Politics section, and co-edits the Presidents & Executive Politics Report. Dr. Vaughn earned his Ph.D. at Texas A&M University, and his BS and MS in Political Science at Illinois State University. 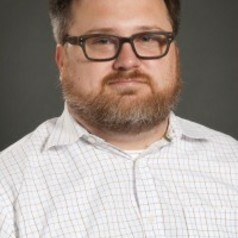 Dr. Justin Vaughn is the co-author of Czars in the White House: The Rise of Policy Czars as a Presidential Management Tool (University of Michigan Press, 2015). He is also co-editor of three volumes related to the presidency and political communication: Controlling the Message: New Media in American Political Campaigns (NYU Press, 2015); The Rhetoric of Heroic Expectations: Establishing the Obama Presidency (Texas A&M University Press, 2014); and Women and the White House: Gender, Popular Culture, and Presidential Politics(University Press of Kentucky, 2012), which won both the PCA/ACA Susan Koppelman Award and the SWPACA Peter C. Rollins Award in 2014. Dr. Vaughn has published extensively on the American presidency, including articles in journals such as Public Administration, Political Research Quarterly, Presidential Studies Quarterly, Social Science Quarterly, Review of Policy Research, and Administration & Society as well as numerous book chapters. Vaughn has conducted research at several presidential libraries (including Nixon, Bush I, and Clinton), organized and participated in events at the Brookings Institution and Carnegie Institution for Science, and lectured in numerous venues across the nation and abroad, including Ohio State University, Vanderbilt University, Hong Kong University, and Ural State University in Yekaterinburg, Russia. Dr. Vaughn’s current research continues his focus on executive politics. In addition to ongoing projects on gubernatorial politics and policy leadership with Curt Nichols (Baylor University) and presidential greatness with Brandon Rottinghaus (University of Houston), he is at work on a book-length project concerning the rise of the post-rhetorical presidency.